According to the Kyaukpyu Special Economic Zone committee, 12 companies from seven nations have submitted their proposals for development projects in the SEZ. Included among the proposals are plans for developing factories and housing as well as for completing the planned deep sea port. A call for bids went out earlier this year, and bidding closed on August 25, according to committee secretary Aung Kyaw Than. Initially, 61 companies submitted expression of interest documents in August, but the Committee of Bid Invitation and Selection short-listed only 12 candidate companies. The bids came in from nations in Europe and Asia, but the majority of the companies bidding were from nearby nations in Southeast Asia. Located on the Arakan State coast, the Kyaukpyu SEZ is expected to be a major trade gateway when fully built out. It is also the beginning point of two pipelines intended to provide crude oil and natural gas to southeastern China. One of the pipelines is online now despite years of setback and issues. The pipeline was the brainchild of the military junta formerly in place in the area and is likely what spurred development of the zone. But the pipeline was opposed by local people from Kyaukpyu to Yunnan and in many points in between. The first phrase of the zone’s development will cover 1,620 hectares and will include a deep-sea port, an industrial park and also a residential area. The new bid process will last from Sept. 15 to Nov. 10. If the winning companies should be international organizations, they will form joint ventures with local companies for this project, a committee spokesman said. Building out the Kyaukpyu SEZ will happen in three phases, according to the committee. The first will be from 2014 to 2016. A second phase will happen from 2017 to 2020, and a third phase is slated for 2021 to 2025. Many locals have been accepting of the SEZ because of promises of development and employment opportunities, but there are concerns about loss of privately owned land and loss of traditional jobs. Most people in the area are reliant on farming and fishing for their livings, and land seizures and destruction of habitats has brought an end to some opportunities along those lines. 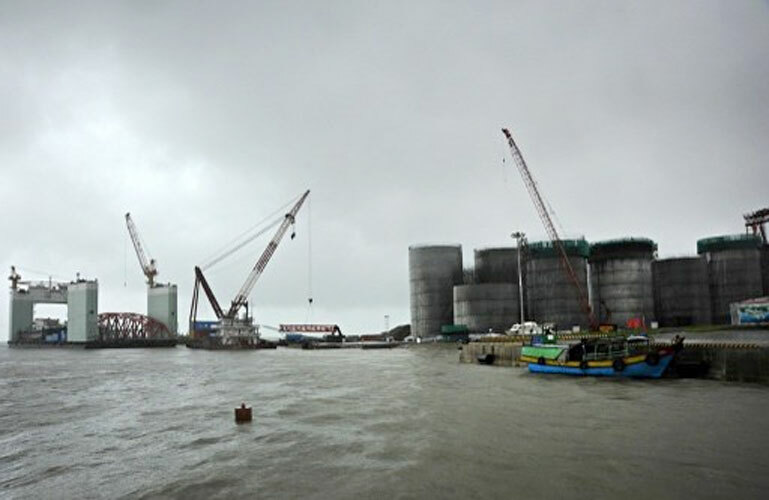 The master plan for the Kyaukpyu SEZ project is the job of CPG Consultancy Ltd., a Singapore consortium chosen earlier. CPG functions as the primary advisor for selecting and inviting international developers to participate in the Kyaukpyu SEZ. The company works under an agreement with the Committee of Bid Invitation and Selection.